Today is a grand day where we go around to some of the business we have sold our Hog Master to and see how it has affected their lives and how it has done for their business. We would be travelling around Nelson. By doing this we would see how well our Hog Master Hog roasting machine is doing, we would gain feedback and then seek to improve on the negatives, if there was any and relish the positives. 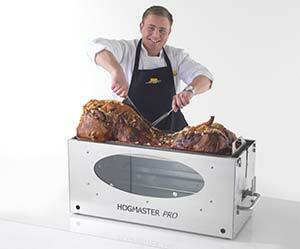 We arrived at a local business in Nelson, who had bought one of our Hog Masters four years ago, he described the Hog Master as a business changer, he said “ever since I have purchased this hog roasting machine is has changed my business dramatically, improving business and gaining regular customers who keep returning for the beautiful hog roasted pig that the Hog Master provides, I would defiantly recommend buying one”. Hearing this it is simply amazing that we have provided the company something to make their business thrive. We travelled just around the corner and down the street to another business that had purchased two of our hog roasting machines, he was very pleased to see us and welcomed us in with open arms. Declaring the Hog Master a life and business saver, he said “buying the Hog Master changed my business forever, we had little customers and business was losing money. I spent 10 years here putting every penny I had into this business. 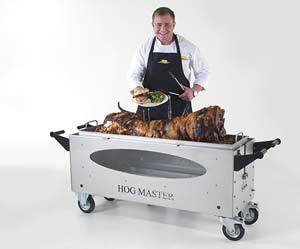 After buying a Hog Master everything changed customers from all over wanted to come to our business for a hog roast, it was stunning that one little change can have a big effect, I have recently bought another one so I can roast Kebabs, Burgers and all types of food on it with the BBQ kit. He gave us some of his hog roasted meat he cooked and then said he may buy another Hog Master in the future, he also has recommend us to many of his friends who own and run business. A little idea we had, now had turned into life changing experiences and business saving ones too. It is horrible to lose something you put your heart and soul into. The Hog Master has changed our lives turning an idea into a thriving business which is all over the UK and across some parts of the world, it is truly amazing.